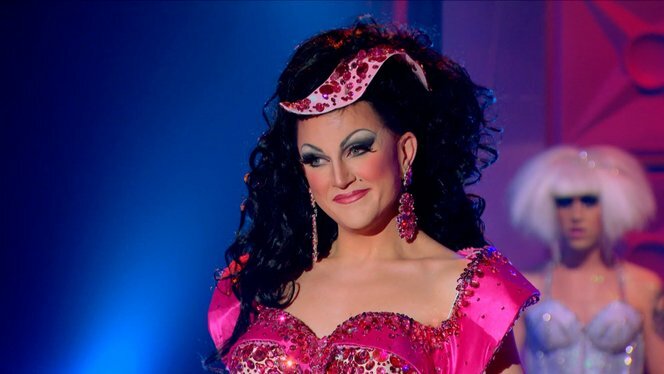 Any fans of RuPaul’s Drag Race All Stars Season 3 who are still gagging on the surprise self-elimination of frontrunner Ben DeLaCreme or the unexpected victory of Trixie Mattel should know that DeLaCreme has had it with all the rumor-mongering, bitchery, judgments and hate that has surrounded her decision to leave the show and the Drag Race fandom in general. And the BenDeLaCreme rant in response to all of that is a rich, delicious, steaming cup of hot tea, henny. I’m not Jasmine Masters, but I’ve still got some stuff to say. Tonight is an exciting night for a whole new crop of queens, and I want to celebrate them. But you may have noticed I have not yet congratulated the winner of All Stars 3. Or weighed in on the final episode at all. In fact, I’ve steered clear of social media for the last week. Not because I have nothing to say, but because I have discovered that anything I say will lead to an attack from a small but vocal minority of “fans” who have been using social media to harass and bully the queens. If you have tweeted, commented, posted or DMed anything negative to any of the queens, this message is for you. Try and stick with it — it’s more than 140 characters. I think a lot of you will find yourselves happier if you assume we are all humans trying our best to varying degrees of success at various times. The black and white thinking that people can be minimized to “good” or “bad” is both reductive and destructive. Now that the season is over, let me clarify some things. Firstly, let’s dismantle this “you knew what you were getting into” narrative. I can’t speak for the other girls, but I know I am not alone in this: Drag is my one true love. It is not just my job or my big plan to get rich and famous. I started drag when you had to love it so much that you were willing to withstand hate from the straight AND gay communities and devote your life to a demanding art form that almost guaranteed you would be permanently impoverished and disdained. Drag is who I am. It is deep in my blood and necessary to my happiness. I come from a long proud tradition of people with that same deep need for this art form, and we all now live in a moment where Drag Race is inextricably tied to any drag queen’s career, whether they engage with it or not. It provides amazing opportunities for both cast members and viewers. The culture surrounding it also takes some things away. When I was first asked to be on All Stars 3 I said no. Then they asked some more. While I was flattered they wanted me back, I wished they would stop. I knew that no matter what I chose, there would be some unhappiness. There would be some regrets. It was the first of what I knew would be many decisions with no right answer. But thus is life – those of you who think you will ever have an objectively “right” or “wrong” viewpoint have a rocky road ahead. At the end of the day I decided that despite my issues with the format, I’d be able to change more from the inside than I could from the sidelines. Also, the kid I once was needed to see the adult I am today. Also, my career is everything to me. Also, financial security is rare for an artist. There is no one reason for anything. Nothing is entirely selfless, but that doesn’t mean none of it is. I had no plan to do what I did, but it was not some incomprehensible decision that was “right for me” and I reject that narrative. I did not leave the competition as any sort of favor to the other girls. I did not leave the competition because I couldn’t hack it. I did not leave the competition for “my mental health” or because a producer put me up to it. And I have never claimed any of those things. I left the competition because, in a situation where I had felt trapped choosing between “success” and what felt right, I had an epiphany. I saw an opportunity to make a statement to the producers, and in turn to you, the viewer. And also to myself. Stop accepting what “authority figures” have told you you have to do. You do not have to consent to compromising your values or personal boundaries, whatever they may be. You do not have to push people down to lift yourself up. This society has indoctrinated us with certain beliefs at a great cost to our own humanity. Some of you are angry I questioned those beliefs. If those beliefs can’t withstand questioning, then they are not structurally sound. I’m disappointed with those who can’t see through the smoke and mirrors to the heart of drag, which is a message of love and inclusivity. Our culture has embraced bloodlust, and for some, reality TV has become our coliseum. The creators set up impossible situations for us to navigate without any of the support systems of the real world. Situations that cause some of us pain and anger and sadness. They don’t do it because they are monsters, they do it because they are under the impression that’s what you, the viewer, demands. Is that what you demand? Do you feel ok with demanding that? I’d like to think that there are more people, like me, who love the part of this show that allows us to see amazing people do amazing things. I’d also like to address this concept of being “fake” or “calculating.” If being “fake” means not thinking or feeling the same way in one moment than you thought or felt in a different moment, then lord help us all. If being “calculating” is thinking through your words and actions and modeling the behavior you would like to see in the world, even when it is difficult, then I hope more of you will become calculating. No one is born kind. It takes work. That work requires thought, intention, and sometimes it means not indulging in everything you feel. Anyone who does that work will sometimes fail because failure always goes hand in hand with trying. My anger stems from the throngs of people unwilling to do the work. Being kind when you feel inclined to be kind is not a measure of your kindness. Being kind when you are actually sad or angry or frustrated or resentful — or just DON’T KNOW WHAT TO DO — that is being kind. Some of you embrace your id as if spouting every thought that goes through your mind is equivalent to being genuine. It is not dishonest to strive to be better than you are. I love and respect Trixie. I love and respect Shangela. And all of the queens. I don’t think those who have not been through the reality TV machine will ever understand what the experience is like and how that might affect choices and actions in any given moment. I think some of you going to jump to wild assumptions about what I mean by that last sentence. You don’t know. You. Don’t. Know. Sometimes in life you will not know. Sometimes in life you will not understand. Or agree. And if you pick a fight every time that happens you’re going to tucker yourself out real quick. Recognize that this show is a platform for all of these queens to share their work post-show. It is a stepping stone not an endgame. The crown itself has no bearing on the queens happiness, success or finances. This is evidenced by the fact that you regularly tear the winner to shreds. It is also evidenced by the reality that any queen who gets close to winning $100,000 will make at least $100,000. Anyone who thinks a queen’s bookings will suffer just because she didn’t win is deluded. How about you all just focus on being wildly appreciative that these people have chosen to share themselves and their artistry with you, to bare themselves and be vulnerable despite the knowledge that many of you will be extremely cruel in return? Congratulations to Trixie on winning the crown. Congratulations to Shangela for her incredible performance on the show. Congratulations to Kennedy and Bebe on being fierce queens who have earned fans and respect all over the world. Congratulations to the rest of the queens for being brave and fierce enough to share themselves despite the “fans” who attempt to chip away at their self worth. Congratulations to the cast of Season Ten; you are all brave and amazing. I truly hope the “fans” get their act together and see that. 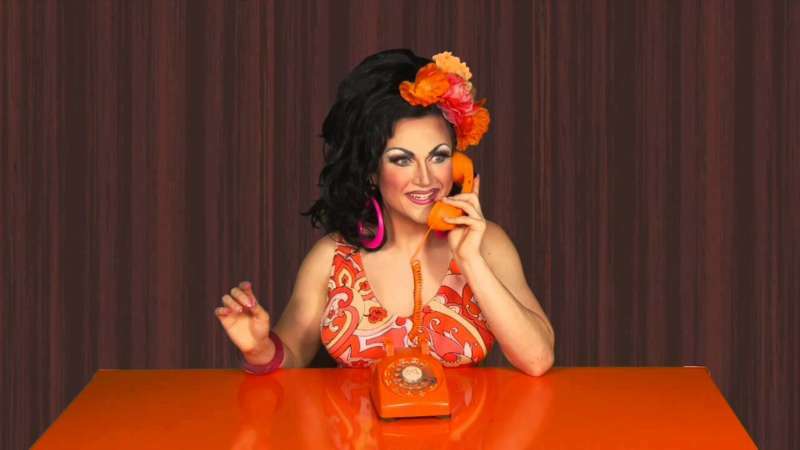 What do you think of this BenDeLaCreme rant? Sound off in the comments.